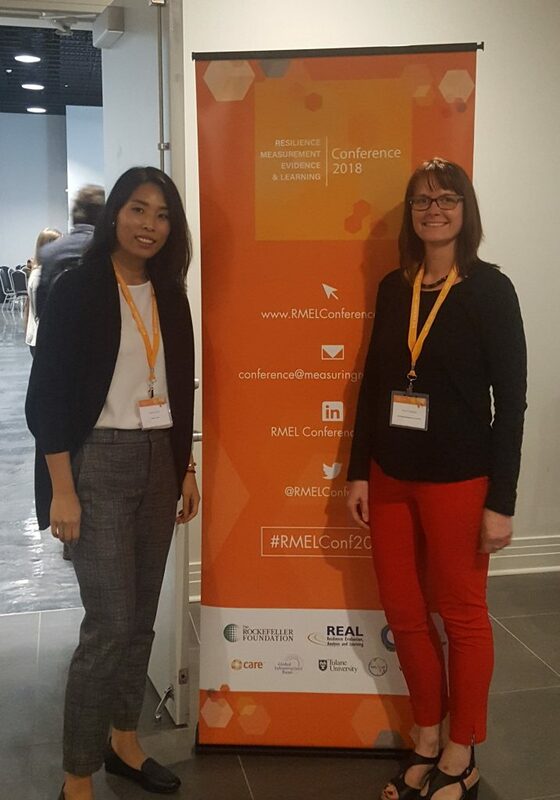 Anne Radday and Jeeyon Janet Kim presented on Feinstein research and methodologies at the Resilience Measurement Evidence and Learning Conference in New Orleans on November 13, 2018. As part of the panel “Evidence to Action in Different Settings” Anne discussed an approach to research uptake that begins well before the research design is finalized and embeds stakeholder engagement throughout the research process. Her discussion was based on a study in Sudan described in this blog. Jeeyon joined the “Supporting Resilience through Social Capital Panel.” She discussed findings from the Food Security and Resilience in Somalia project. She focused on the Somali narratives that point to socio-political identity and social networks as key factors for survival during the 2011 famine.